Camping In Camper Trailer In Wooded Park Camp Site With Chairs Set Up Around Fire Pit, And Bicycles Leaning Against Picnic Table. Lizenzfreie Fotos, Bilder Und Stock Fotografie. Image 114070589. 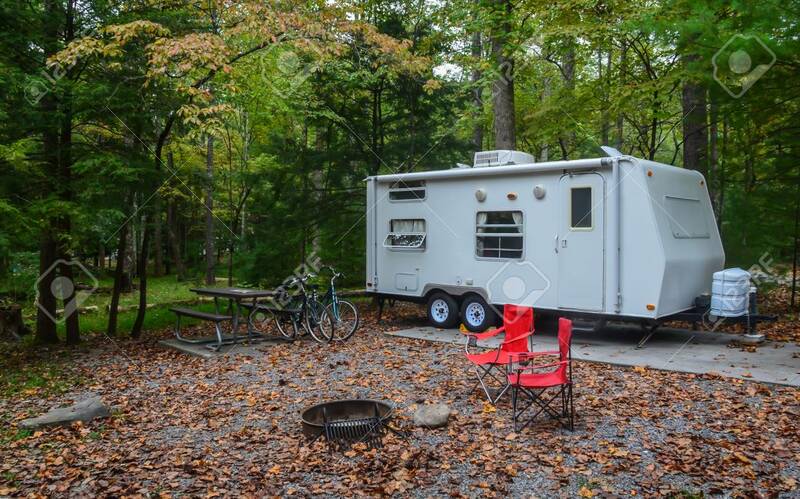 Standard-Bild - Camping in camper trailer in wooded park camp site with chairs set up around fire pit, and bicycles leaning against picnic table. Camping in camper trailer in wooded park camp site with chairs set up around fire pit, and bicycles leaning against picnic table.